Visa extention is in the works. 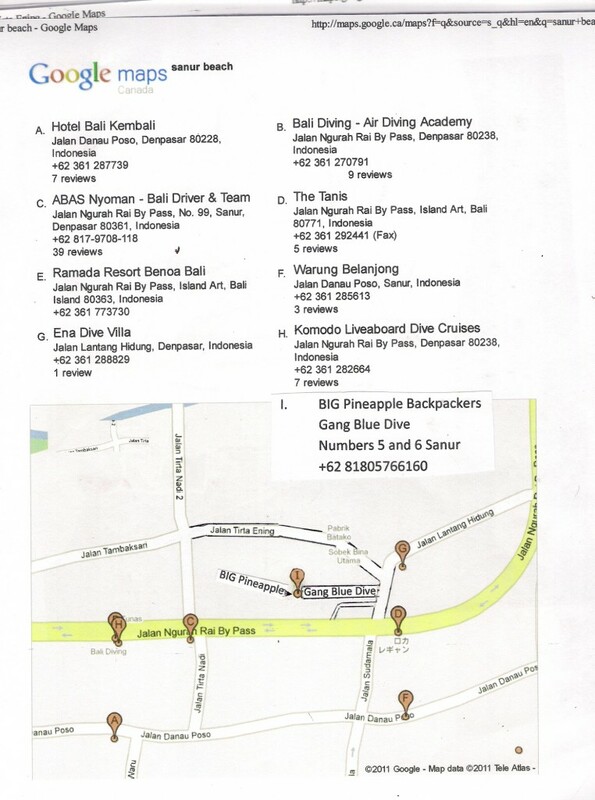 Guy came by the dive shop yesterday and I gave him my passport and 500,000 rupiah [US$58.] Â [8500 rupiah roughly to the US dollar or 9000 to the AUS Dollar]. He said it takes about a week Â for everything to go through, so he’s going to send me a txt when its done. The process is underway, but I won’t have my passport for the next week, which is unfortunate because I don’t really think I can move out of Sanur as checking into hostels requires a passport. At least the place I’m staying Â is cheap! Â I’m only booked here til Saturday though, so I’m going to have to ask the owner if I can extend my stay. At the moment I’m in a 4-bed room with no one else in it, so don’t forsee it being a problem. Worst caseÂ scenario, I can check into one of the private rooms for like 20 dollars a night. Well I think my “press” powers have helped a little bit at Big Pineapple Backpackers.Â Since it’s dead here, I figured I could just continue my stay, but it turns out they are pretty much fully booked til mid next week. I told the owner my situation with my passport and he’s going to set me up in a little private room for only 140,000 a night [US$16] or double the cost of the 4-bed mixed dorm. Â I told him I would write him a very nice article for the website…. On another note, since it’s my first day off in a while, I’m going to see what I can do about securing some kind of digital camera. The dive shop has pretty cheap, reusable, underwater film cameras I might grab for my next dive. Probably won’t be able to use the photos til after I get back, but good for memories. Â They also have underwater cases for sale, so if I’m able to procure a good digital, maybe I can find a case that fits it!